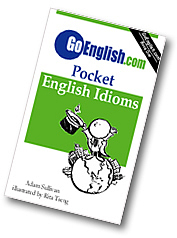 Today's Idiom = "Expense Is No Object"
Expense is no object when you are willing to pay whatever amount of money is needed. Example: "This year I want the company party to be fantastic. Expense is no object." Not having enough money is never the case when "expense is no object." Example: "For my daughter's wedding, expense is no object." Example: "Choose whichever one you want. Expense is no object." An "object" is a thing that can get in your way and stop you, so the cost of some item ("expense") will not stop you ("is no object") when "expense is no object." Example: "The company wants this project to succeed. Expense is no object." Example: "I want my daughter's teeth fixed perfectly. Expense is no object."